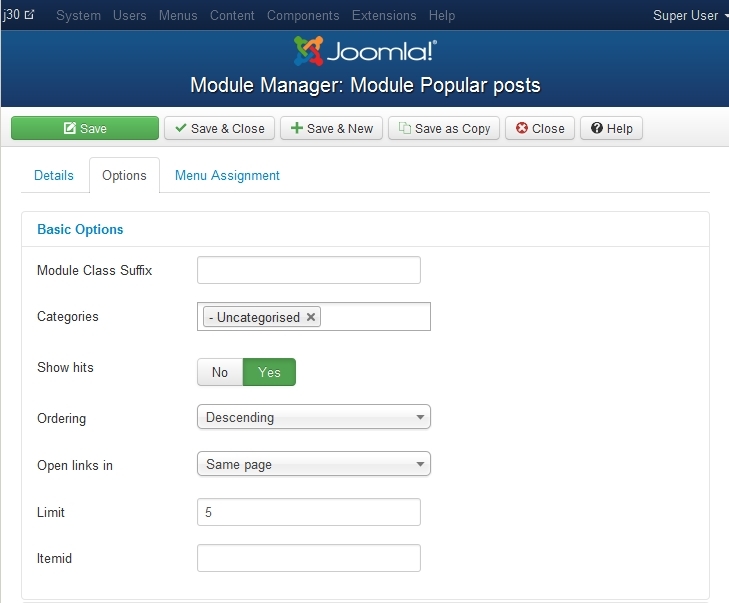 The module can be installed on your site by using the default Joomla! installer (Extensions >> Install/Uninstall >> Browse >> select the module >> "Upload File and Install") and can be configured from the Module Manager. 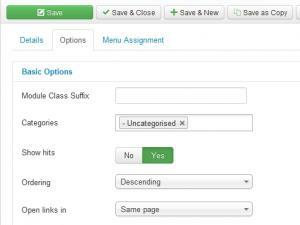 Open links in : Same page/New page - this option will determine how the categories will be opened (on the same page or in a new browser window). Itemid : Enter a custom Itemid.